Steeda's is the leader in underdrive pulley design for the 4.6L engines. 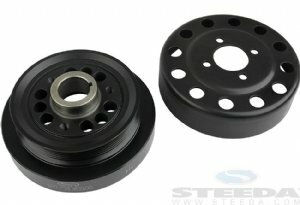 Steeda was the first to achieve SFI approval on our underdrive pulleys for all 4.6L engines. Our underdrive pulleys are the only pulleys engineered through our unique partnership in Ford's technology transfer program to have the proper torsional vibration dampening characteristics for your 4.6L engine. No other manufacturer can make this claim. Dont be fooled by other manufacturer's and their "state of the art" process claims. Steeda uses the latest technology directly from O.E. sources. Steeda's crank pulley is a one piece nodular iron, injection molded rubber design. Not a cheap "piggyback" design like many of our competitors use. 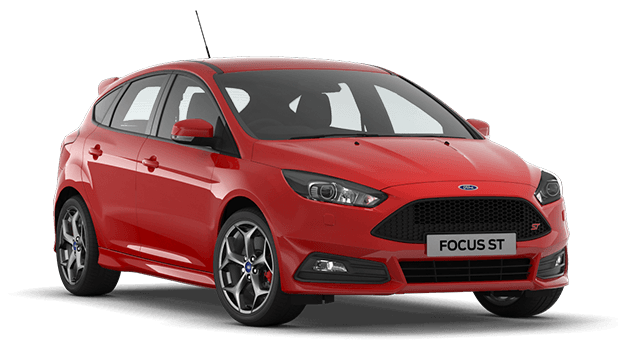 Special rubber materials were chosen for their ability to absorb the torsional vibrations and their ability to withstand underhood temperatures. Steeda's underdrive pulleys slow down accessory speed by about 25% reducing parasitic acccessory drag on the engine. This drag reduction results in an increase of up to 10 horsepower and increased gas mileage! Get back the horsepower and torque your belt driven accessories steal and start enjoying better performance and gas mileage today!